Greetings, friends! We are the Andromedans, your next door neighbors, you could say, and we are pleased to connect with you through this one today. We watch with great excitement as this glorious timeline emerges from the ashes of rebirth, not unlike the Phoenix of your stories that we assure you is true in other realms. 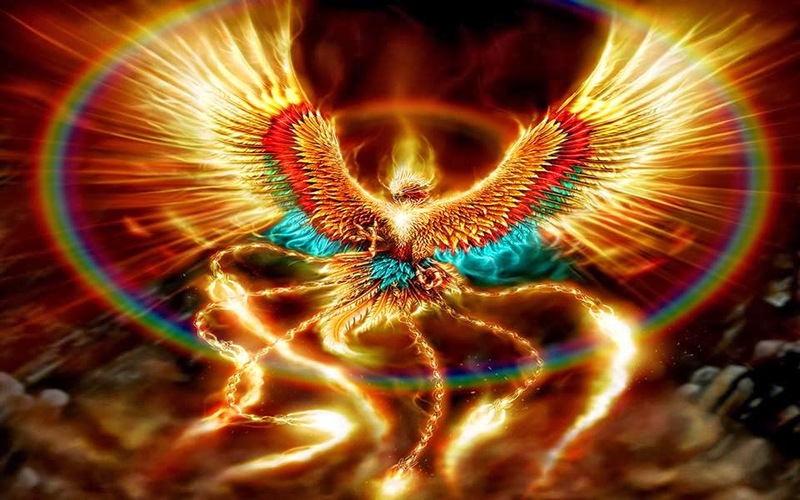 There are many parallels to the Phoenix in your own experiences. We are observing your astonishing transformations, both personally and that of your human collective. No longer will the knee jerking of easily provoked wars be tolerated, for you are finally now more interested in peace and the similarities between you, rather than your differences. This is a landmark moment for you and truly something to be celebrated. We are most definitely celebrating in our ships as we observe and assist you. This one is heavy hearted about the fires currently plaguing your state of California, but we remind you that such is occurring all over your globe and all is in a state of renewal and rebirth. Remember the Phoenix? When all seems lost and dead, new life emerges from the ashes, ready to begin anew. So too, your earthly societies and constructs are being remade as you begin to formulate new ideas and consider the greatest good of all, rather than the greatest good of the wealthy ones. Their time is over. They are aware of this. We assist with many civilizations and times. Your earth has been the most beautiful, unique and perhaps the most difficult in many ways -but now the light is dawning and you are dusting off the ashes of old experiences and stretching your Phoenix wings. You are ready to fly! We Andromedans are eager to meet and “chat it up” with you, as you say, for we have much to learn from each other. We are eager to share our technologies and unconditional love with you. We are galactic family, after all – we mean this literally for some – many – of you. That is all for now. We thank you for this time of connection. Remember all that has been burned can be rebuilt. Remember new technology is not only coming, it is here now. Remember all of the civilizations that have come before and were removed by the sands of time. Remember who you are. You were there and are here now to contribute your expertise to the collective and rebuild Nova Gaia together as one. We are the Andromedans and we send you our love and supporting energies this day.